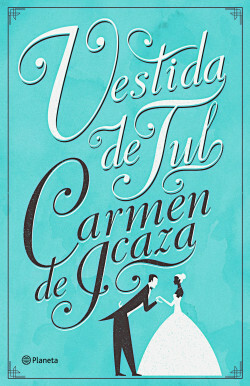 Dressed in Tulle, which Carmen de Icaza considered calling The Girl who Danced with the King before the publication of its first edition in 1942, offers, in addition to the characters’ adventures, a perceptive, critical portrait of the Madrid society of her youth. It is a world of balls at aristocratic mansions and performances at the Royal Theatre, horse racing, middle classes seeking to keep up appearances, the nouveau riche looking to rub elbows with the nobility, and hypocrisy and façades behind which lurk age-old, universal passions. And yet, the joyful, forward-looking spirit of SolAlcántarawill triumph every time. A novel full of glamour, emotion and humour which will make the delights of the readers of Nancy Mitford.